We’ve been in the business for a wealth of years and have proven our excellence in providing drywall ceiling repairs. Drywall, plasterboard or wallboard is commonly used on ceilings, may it be under the roof or another floor. After a while, it’s possible you may experience problems that would require professional drywall ceiling repair. If that happens, call “Drywall Repair Tujunga” for immediate, experienced, and admirable repairs. We’ve been providing trustworthy drywall repair services for a long time and faced over the years all kinds of complex issues when it comes to plasterboards. Our vast experience and continuous studious training ensures that we perfectly handle all issues concerning wallboards. 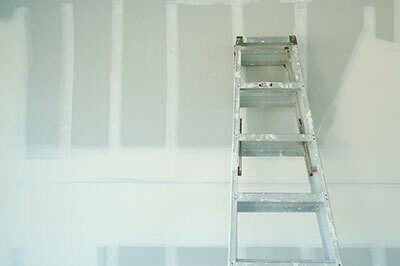 There are several reasons why drywall may obtain damage. One of the most common is contact with water. There may be leaks on the roof causing water damaged Sheetrock. Moisture is also another cause and while its effect may not present immediately, after some time it could cause discoloration and if left untreated, cause the ceiling to collapse. This also is a cause of mold growth, which places your family’s health at risk. Drywall Repair Tujunga checks the status of the ceiling to pin point the main sources of the problems. We’ll have it precisely fixed to ensure that the problem is eliminated. Once the main issue is fixed, we’ll make sure the area is dry before removing the affected part and replacing it with a new one. You don’t have to worry about the visual appearance during replacement, as we’ll match the new sheet with the old one. For plasterboards under floors, another cause of damage might be heavy weight of furniture or appliances on top of them. We’ll recommend moving these items and replace the damaged plasterboards with thicker and sturdier materials. Extra support is added to ensure that it doesn’t sag or drop easily. Furthermore, we provide flawless wall repairs for water damage, holes, and cracks on your wall. Plasterboard installation is another superb service we provide along with drafting. Our earnest technicians install the panels properly ensuring that durable and proper support is provided to last for a long time. We clean up after our work so you’ll only have your newly fixed or installed plasterboards to admire. Send us a message or call for any of your concerns for friendly and courteous help.